Recently renovated in 2017, our indoor and outdoor swimming pools and spa are located only steps from the ocean and offer stunning views while sunbathing and relaxing. 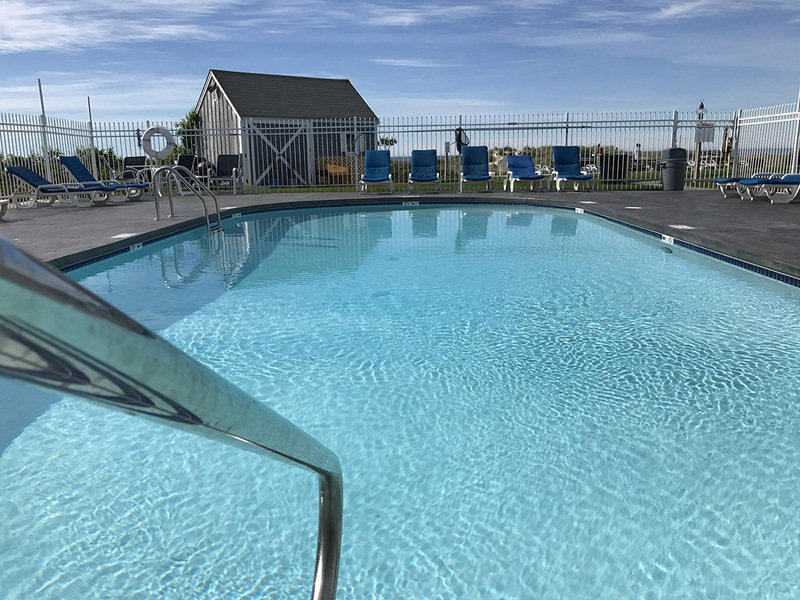 The outdoor pool is open seasonally and offers chaise lounge chair seating and umbrella-shaded tables and chairs. 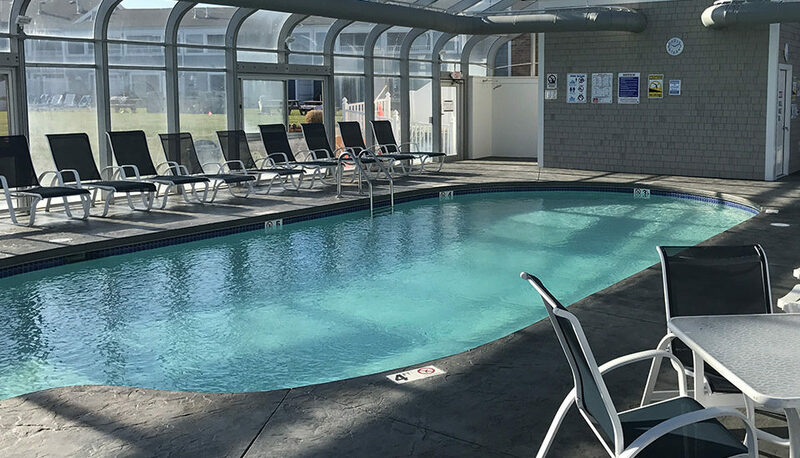 The indoor pool and spa are open year round, offering lounge chair seating, unisex restroom, and pull shower.